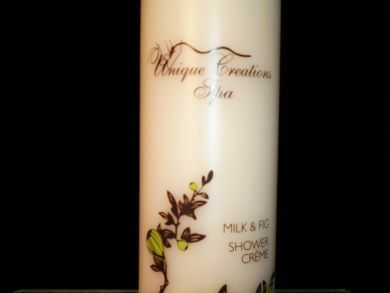 Breathe deep as the soothing fragrance of Milk and Fig envelops your body and comforts your soul. The luxuriously rich lather gently cleanses and conditions skin. Vitamin A rejuvenates skin and Vitamin D helps retain moisture. Milk Protein smoothes skin, leaving it more supple. Indulge your senses in the perfect retreat morning or night. Virgin Peruvian Human Hair 18"